So the challenge for 2014 is to climb as many hills as your age. A lady should never give away her age so all will be revealed when the challenge has been completed. Did a mountaineering course at Glenmore Lodge in January which was in the middle of the gale force winds. To try and avoid the worst of it we spent our second day heading off from the Coire na Ciste car park and made our way over Cnap Coire na Spreidhe and to Ciste Mhearad. It was white out conditions for the day so while good for practising nav skills, no photos! A few of us were up in Fort William for the mountain festival. It was a dreich weekend with lots of rain and wind but we donned our waterproofs and headed up Glen Nevis was a wee walk to Steall Falls. The path follows the Water of Nevis as it carves it’s way through the dramatic gorge. At the top I always feel like I have been transported to an alpine meadow as the the glen opens out with the dramatic Steall Falls directly ahead. 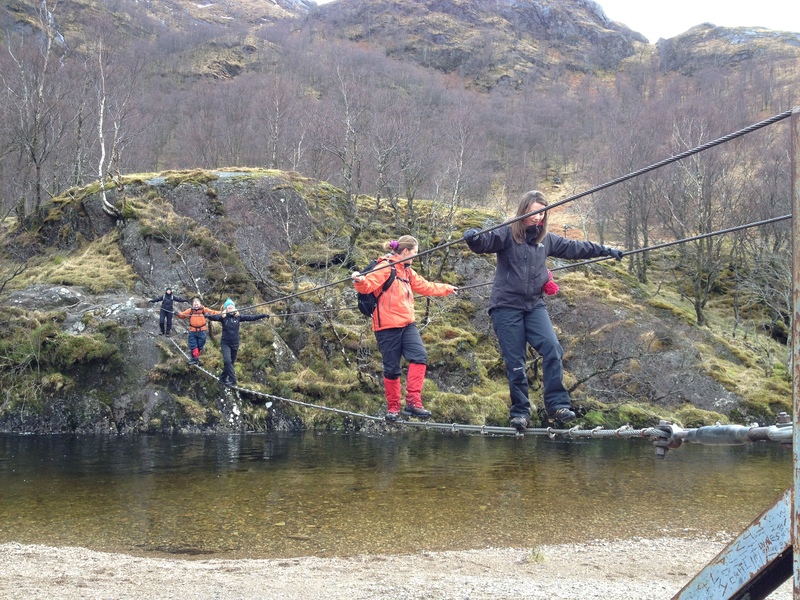 We crossed the wire-bridge and explored the base of the falls. Tracy, Gill and I nipped up Meall Cumhann and picked a route that ensured some scrambling. 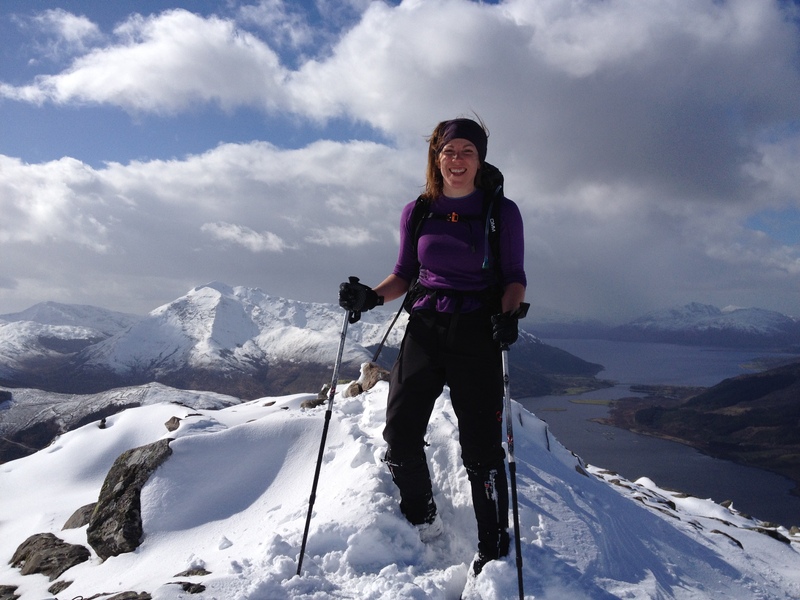 A heavy dump of snowfall coincided with the drive up to Glencoe for a sea kayaking weekend. The weather on the Sunday was too perfect not to take a wee detour up a hill but the avalanche risk was too high that Pap of Glencoe was the safest option. The snow was up to our waists at some points which meant the thighs paid for it the next day! Great walk with amazing views. No way of describing this other than WOW. Easter weekend and we were blessed with the most amazing weather in Torridon. A steep climb up into Coire nan Laogh before reaching the top of Tom na Gruagaich. Of course, we had a customary lunch stop basking in the sunshine. The great gash of Eag Dubh na h-Eigheachd looked like a giant and taken a knife and removed a chunk of the mountain just below the main summit Sgurr Mhor. The real fun was the three horns of Alligin which involve a wee bit of exposed scrambling but nothing Breach the Springer Spaniel couldn’t cope with. After descending to the moorland below, we couldn’t resist dipping our feet in the icy water of the pools (which looked perfect for a future dip). I’ve now developed an obsession with Liathach so hopefully that will feature soon. The day after our paddle boarding initiation from Pitlochry to Dunkeld and a few drams celebrating Gill’s birthday we weren’t in the finest fettle for our original plan of tackling a serious walk. A pit stop at the delightful Habitat Cafe in Aberfeldy for some caffeine and brunch set us up for a quick jaunt up Meall Buidhe. After a few delayed starts sheltering in the car from the short downpours we set off. The dark clouds still looked ominous but we optimistically set off in our shorts and t-shirts. After about 15 minutes the waterproofs made an appearance. It was a bit of a bogfest for most of the climb but worth it for the fine views over Rannoch Moor to Glencoe. We’d carried a surprise birthday cake for the summit but saved it for the shelter of the car. Realising I’m a bit behind with the challenge and struggling to find any time at weekends to head to the hills, I set off a bit weary after a decent cycle the day before. Once again had to make a pit stop at the Habitat Cafe in Aberfeldy for a coffee. Started the climb from Invervar and hugged the forest until it cleared to leave a fairly easy route up Carn Garm. I was glad the tropical conditions from a few days earlier had settled as it was hot enough, especially when the route steepened before the summit. I skipped the top of An Sgorr thinking 4 Munros was plenty and I had the time pressure of trying to make it back to the cafe before closing time. I was closing in on a couple of solo walkers ahead and it looked like one was carrying skis. Wasn’t sure if he was the kind who tried to ‘ski’ every month or perhaps was in training for a trip further afield. Turns out he was into amateur radio and was carrying a mast for setting up at selected summits. From the top of Carn Gorm he’d picked up people in Glen Affric. After learning some of the basics of amateur radio I continued to Meall Garbh. 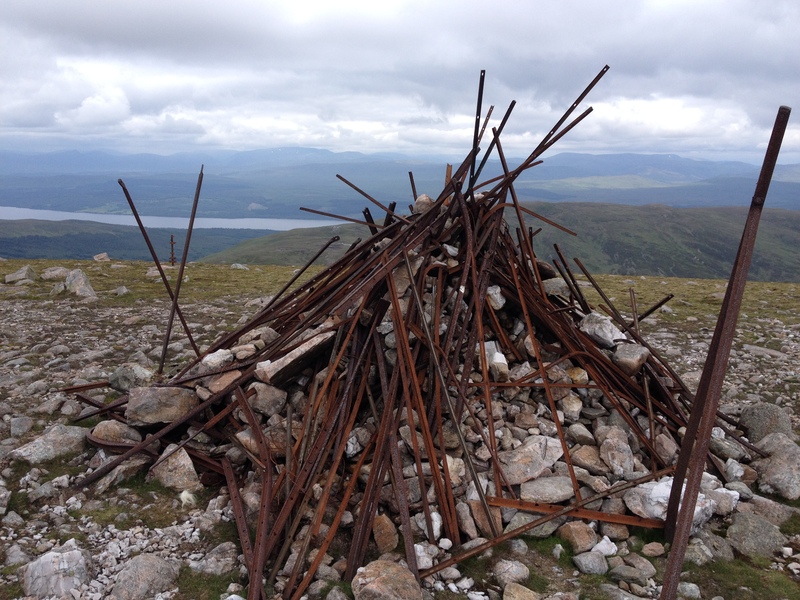 Bit of a random cairn with rusty metal fence posts resembling a bonfire shape. Continued along Carn Mairg and didn’t pick the best line down so found myself boulder hopping down the steep section to the col. On route to the final summit I passed a couple who had camped out for the solstice and had some gear chat about bivvy’s and lightweight tents. Then had the final ascent to Meall na Aighean to take in some more fine views before heading down the long ridge on the south side of Allt Coire a’Chearcaill. I reached the car in good time and made it back to the cafe for some cake. 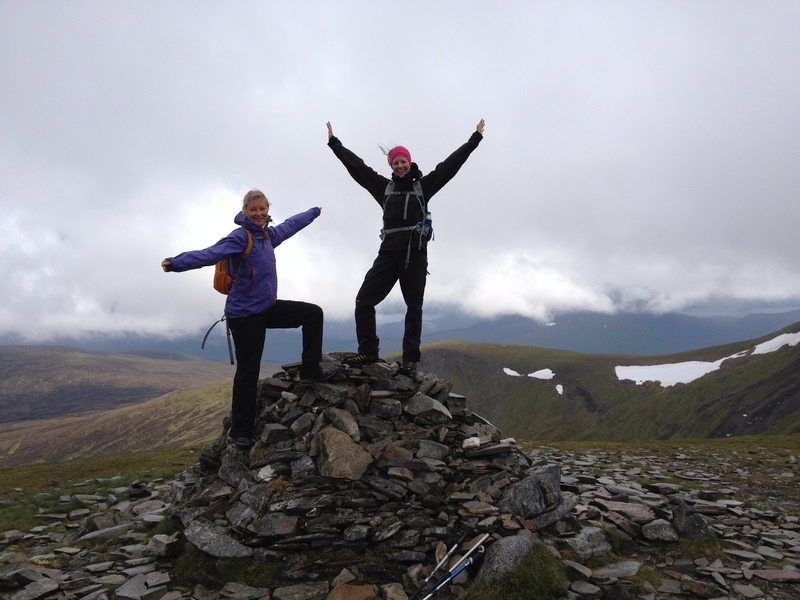 The funny thing with this walk was when I arrived home and went to ‘tick’ the Munros off a list I got free in a paper (not a serious Munro bagger! ), I found they were already ticked. I had sat at one of the summits eating my lunch with a guy declaring I had never been on these hills only to find that I had, but with no recollection. I’m hoping it was a day of poor visibility or I’ll become seriously worried about my memory. 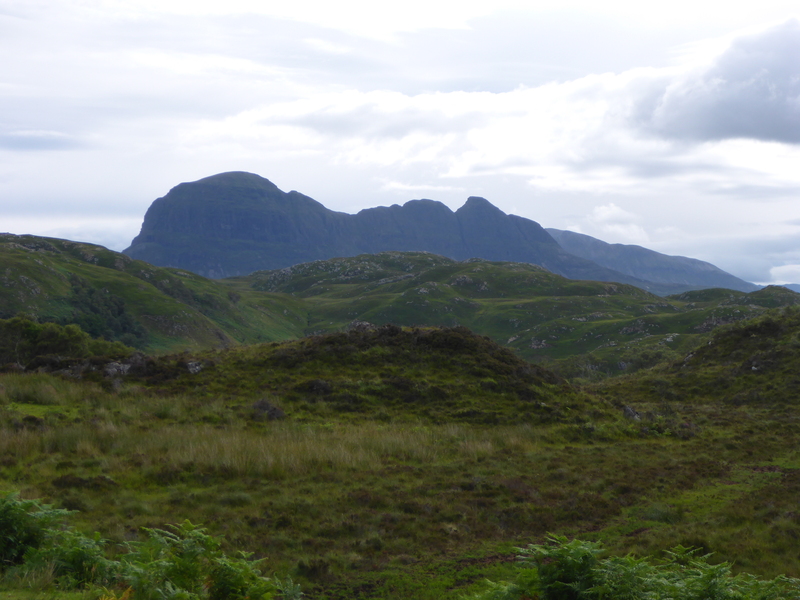 Suilven is a unique mountain and I became fascinated with it on my first trip to Assynt last summer. It’s shape is very different depending on the viewpoint but dramatic regardless of where you see it from. At that point I had a packraft on order and knew the mountain would have to wait until I could pick my way through the remote lochans. I’d had a look at some useful blogs from apaddleinmypack and gridnorth and decided to leave my car at the south west end of Lock Buine Moire. There is a wee track that takes you down to Boat Bay where I launched. It’s a short paddle out into the larger Loch Sionasgaig I hugged the north west edge to the northern notch. From here it was a short walk to where I could paddle Na Tri Lochans. While I was pleasantly surprised by the lack of bog, the cleggs were unbelievable. When you’re carrying your packraft in one hand and paddle in the other, the wee blighters have a field day. Be warned, they bite through clothing and it hurts! 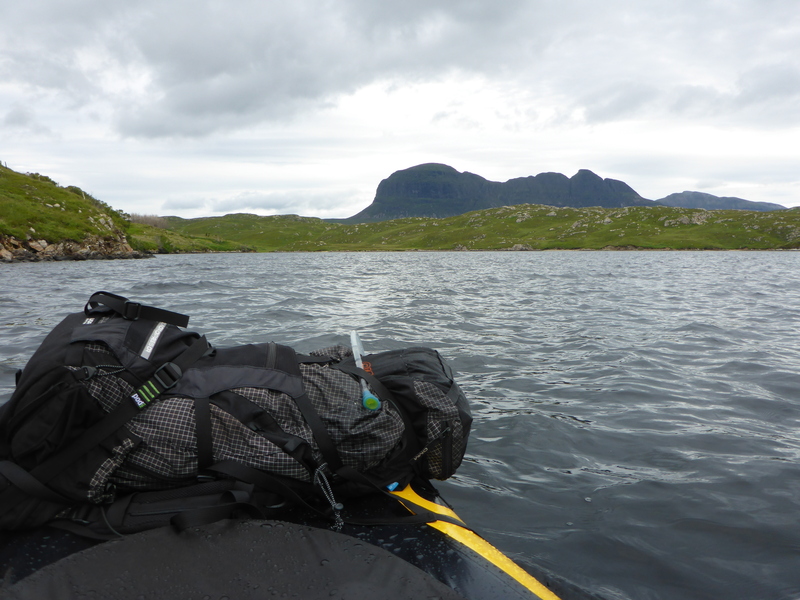 I reached the shore of Fionn Loch and it was a short paddle to the other side where I decided to leave my packraft while I ascended Suilven. This area is pretty remote so no worries about gear going walking. 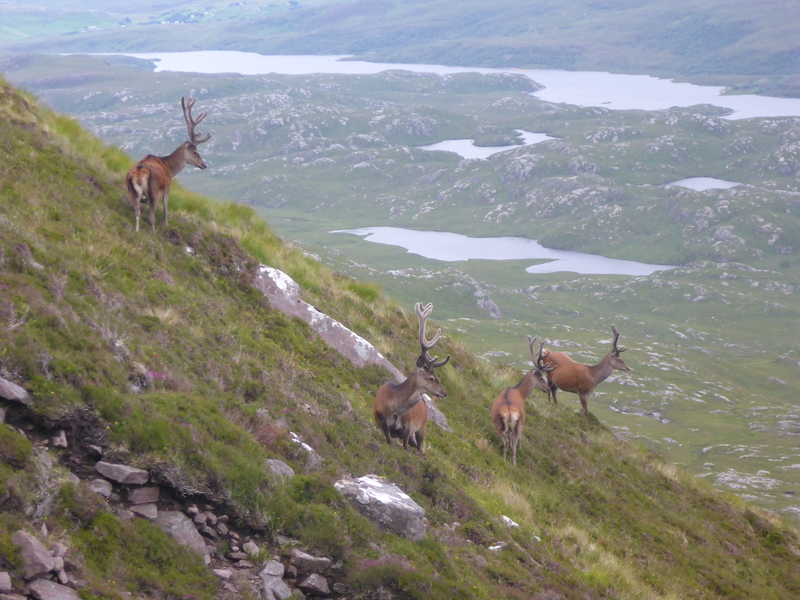 I headed up towards the track that ascends steeply from the South and encountered a very curious herd of deer. It was wonderful to be so close to them. The wind picked up as I approached the summit and decided against Meall Meadhonach. The descent was pretty straightforward but the wind had picked up for the paddle back. Nevertheless, this was a pretty cool way to get into such an amazing mountain and with the remoteness it was easy to think you had the whole world to yourself. So I’m definitely older than 17 but unfortunately had to abandon this challenge due to my dodgy knee not liking the hills.